If contemporary life’s multi-tasking, instant-messaging, due-yesterday, traffic-migraine doggedness has you down—fear not! We know eight local places where you can escape for a little solitude and serenity. 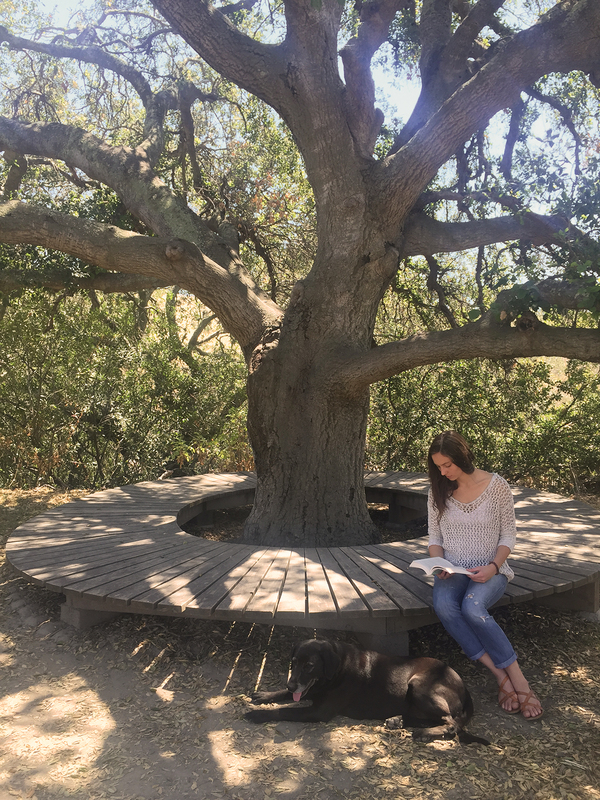 Kelly Thornton Smith is contemplating how her quest for peace and tranquility fits into the Center For Living Peace, an Irvine actualization center she started in 2010. She is hesitating. A meeting with Virgin Group founder Sir Richard Branson inspired Smith to go forward with a community-driven center devoted to promoting peace. It has sprouted in unexpected and ambitious directions. Smith partners with UC Irvine on a lecture series that has welcomed A-list speakers such as scientist Jane Goodall and actress Charlize Theron. The two groups and the Friends of the Dalai Lama will host a three-day “Global Compassion Summit” July 5 to 7, featuring the Tibetan spiritual leader and tied to his 80th birthday. Shared experiences and pursuits are key, Smith says. “Our society has previously approached the exploration of inner self as almost a drive-through window. You briefly pick up a quick fix of philosophy, or a stint of exercise, or pop a pill, and off you go, back to your ‘real’ life,” she says. 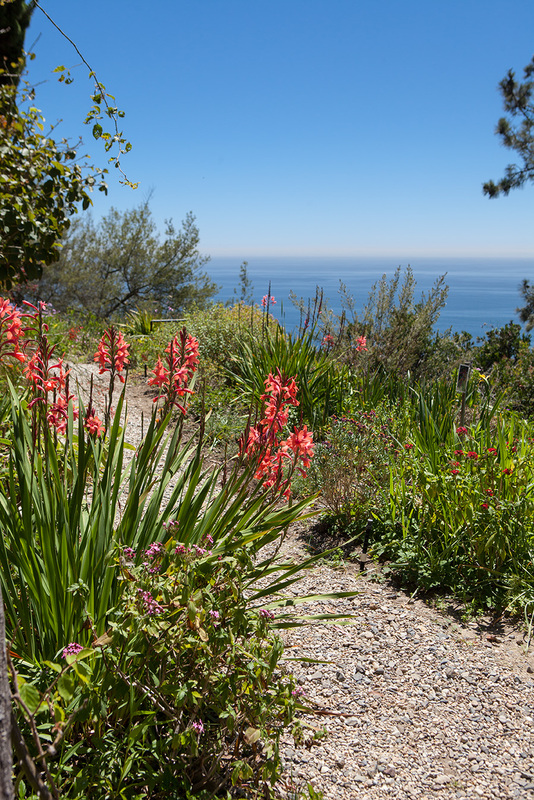 The spectacular garden in this former private residence cascades down the hillside of a northern Laguna Beach canyon. This secluded oasis of calm and sea breezes, established in 1959, is the result of one woman’s love of nature and her five decades of labor. Miller’s isn’t a manicured English garden, nor a twee Japanese one in miniature, but an egalitarian riot of as many as 1,500 kinds of plants and trees set on 2½ acres in Boat Canyon. Pointy-leafed, 15-foot-high yucca trees stretch skyward, while ground-hugging desert succulents, such as cabbagelike echeverias and stone-dwelling sedum, hunker down in dry spots. Varietals both common and obscure fill the beds willy-nilly. Rustic benches are placed to foster contemplative pauses, punctuating the splendid chaos of plants. Wind along Live Oak Canyon Road through Trabuco Canyon, and after a couple of miles you’ll encounter a site devoted to peaceful meditation and learning, the Vedanta Society’s Ramakrishna Monastery. 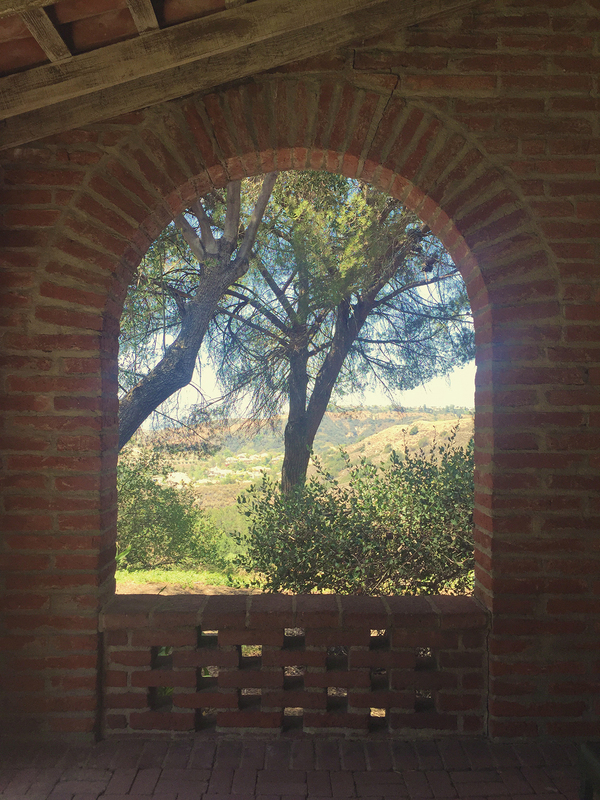 Sitting on 40 acres of gently rolling foothills, this cloistered compound was built in 1942 by English writer and California transplant Gerald Heard. 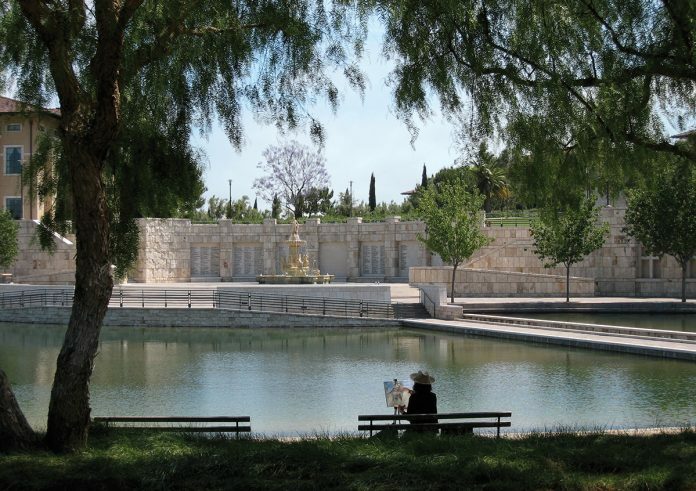 Trabuco College, as it was called, was designed for a contemplative life. The venture closed in 1947 when it turned out that the pursuit of consciousness did not satisfy monetary necessities. Heard sold it to the like-minded Vedanta Society of Southern California, a spiritual order from India, and the monastery was consecrated in 1949. The old-California-style compound feels gently frozen in time. The buildings are arranged in a well-tended semicircle of single- and two-story white stucco with Spanish tile roofs. It’s an embodiment of stillness; the only sound occurs with the occasional tolling of a small bell in the garden that visitors use to announce their arrival (free entrance daily from 9 to 11 a.m. and 3 to 5 p.m.). Six monks inhabit the grounds, and there’s a comfortable aloneness to the setting, making it ideal for separating oneself from outside distractions. The mile-long Shrine Trail, which honors seven world religions, is a narrow, at times single-track dirt footpath that switchbacks through gentle rises and dips. This walk is just challenging enough that the modest sculptural monuments along the way invite you to pause. The crowning part of the excursion is atop a hillside, where a Sanskrit Om symbol is mounted on a wooden beam. It frames the surrounding rises and the view of a water reservoir below. For some, the path to serenity is paved with pricey pleasures. If that’s your inclination, here are three Orange County spas that received five-star ratings from the 2015 Forbes Travel Guide. Trademark Treatment: Wellness Signature Experience ($425) is a minimum two-hour program that might include massage, reflexology, homeopathy, and other treatments. Amenities: Any facial, massage, or personal-training service lasting an hour or more includes daylong access to the beach, fitness center, plunge and lap pools, and sauna and steam rooms. Trademark Treatment: The Costa del Sol ($335) two-hour plan includes a Moroccan argan oil hair treatment and scalp massage; body massage; and then hand and foot exfoliation, wrap, and reflexology. Amenities: Daylong access to the beach, lounge, pools, fitness center, and steam and sauna rooms is available with most treatments, from $55 for a European manicure. Trademark Treatment: Signature Treatment ($315 Mondays through Thursdays; $415 Fridays through Sundays) includes a 50-minute specialized massage, a 50-minute cleansing facial, and a $35 spa cuisine lunch credit. Amenities: Beach walk at 8:30 a.m. (free shuttle to the shore and back to the resort). Daylong access to fitness center, lounge, pools, steam, and sauna rooms is available with any treatment, from $35 for an eyebrow wax. 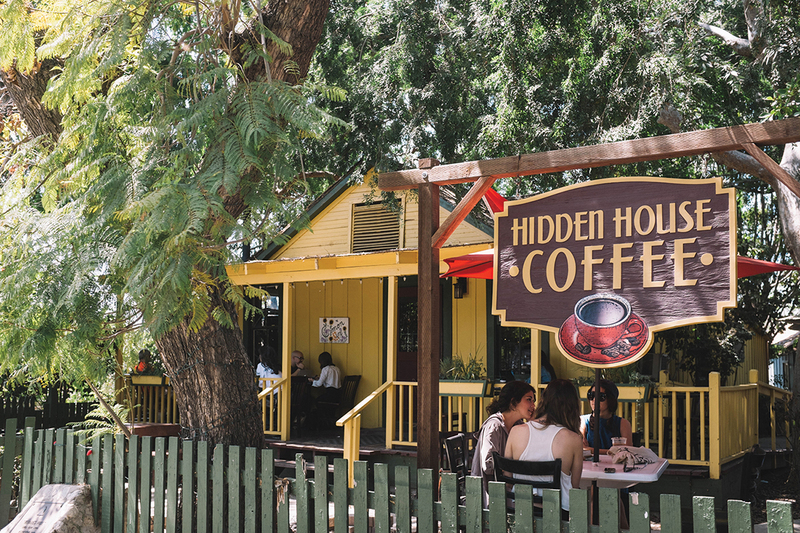 For pure atmosphere it’s hard to fathom anywhere that courts soulfulness more than Hidden House Coffee Roasters in the Los Rios District of San Juan Capistrano. The home-roasted coffee has made the name a misnomer. There’s invariably a line, and this isn’t exactly a secret find.